Economical, precise, safe, and energy efficient: drive and control technology from Bosch Rexroth moves machines and systems of any size. The company bundles global application experience in the market segments of Mobile Applications, Machinery Applications and Engineering, and Factory Automation to develop innovative components as well as tailored system solutions and services. Bosch Rexroth offers its customers hydraulics, electric drives and controls, gear technology, and linear motion and assembly technology all from one source, with locations in more than 80 countries. Supporting mechanical and plant engineering efforts around the world, Bosch Rexroth delivers cutting-edge technology and unique industry knowledge. More than 29,500 global associates are developing tailored, safe and resource-friendly solutions. Bosch Rexroth innovations deliver multi-dimensional enhancements for machine manufacturers and end users, including the reduction of harmful carbon dioxide emissions while simultaneously raising productivity. 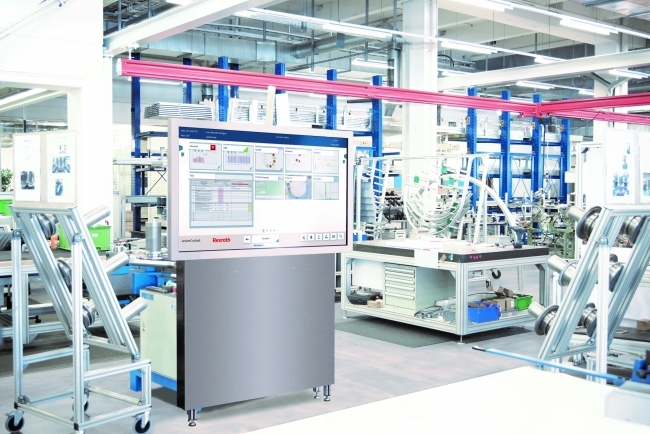 Above all, Bosch Rexroth makes it easy to use cross-technology solutions by means of predefined functions and integrated engineering tools. Where do people fit in the Factory of the Future?